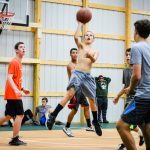 The North Star basketball program allows a unique opportunity for all of our campers to hone their basketball talents and to have a blast doing it. 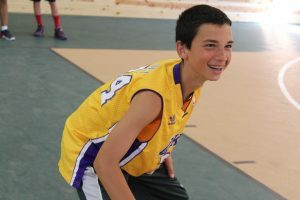 Our great basketball instructors cater the program to each campers’ abilities so that every child is able to get individual attention. 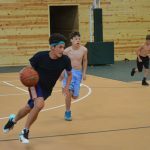 Whether new to the game or on the fast-track to the NBA, the North Star program uses fun games and drills so that every camper develops his skills. Campers have many opportunities to play basketball throughout the summer. Anyone can choose basketball as one of their instructional project periods, which is the time where they would receive the most instruction. 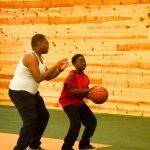 Campers can also choose to participate in our Basketball League and can play pickup games during the Organized Free periods. 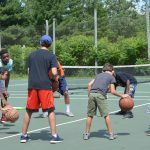 Additionally, campers will participate in basketball activities during Challenge Games, Green-White activities, United Nations Day, Pow Wow Day and other special events.